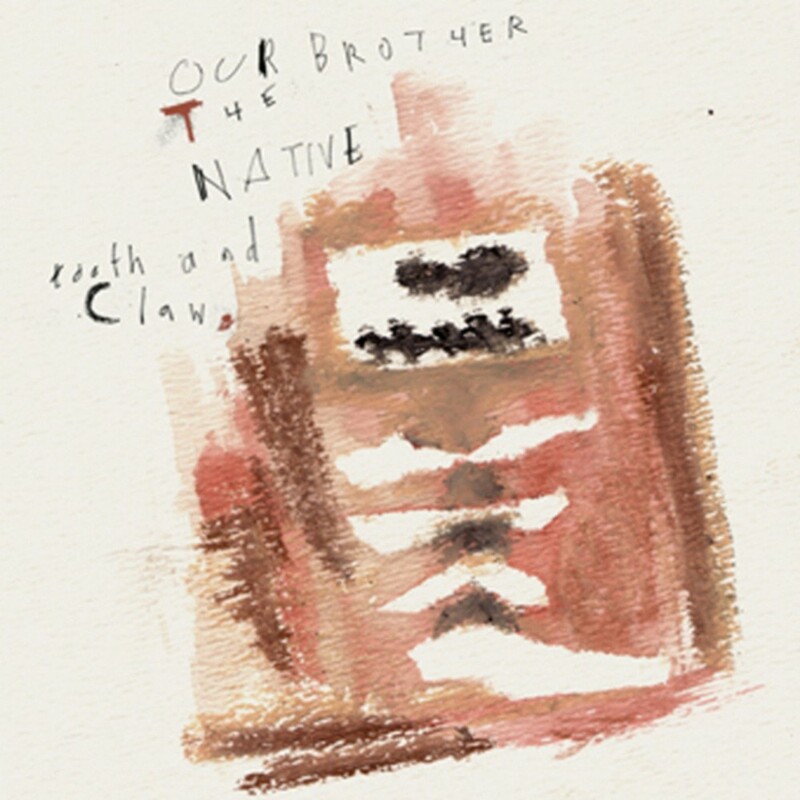 Our Brother The Native - after several line-up shifts over the band's history - has now apparently settled as a core unit centred around California Bay Area resident Joshua Bertam. Also featuring collaborators on percussion, guitar, trumpet and noise manipulation, the lion's share of the Our Brother The Native songwriting is now firmly on Bertram's shoulders. FatCat stumbled upon the band towards the end of 2005. Having checked out a link to their music, and instantly liking what we heard, we got in touch with the band and the debut they were currently writing just fell into our laps. Josh Bertram was born in Michigan, February 8th, 1989 and started playing guitar in 6th grade. In 2004 he bought a banjo and has been playing it non-stop ever since. In his first year of high school he experienced a "life-changing revelation" when he was introduced to noise music through a couple of friends. They fed him CDs, and inspiration through the noise unit they played in - jamming in a basement and using circuit-bent instruments. After seeing them put on a show, he knew he wanted to make music that was different, "became a music nerd" and from then on continually sought out new experimental music that would excite and inspire him. In his sophomore year, Josh met fellow founding-member John Michael, who was then a senior. Realising that they had similar musical tastes, they quickly became great friends, went to a lot of shows and listened to music non-stop together, and eventually starting to play together. Not much happened until the following summer, when they finally got some equipment. 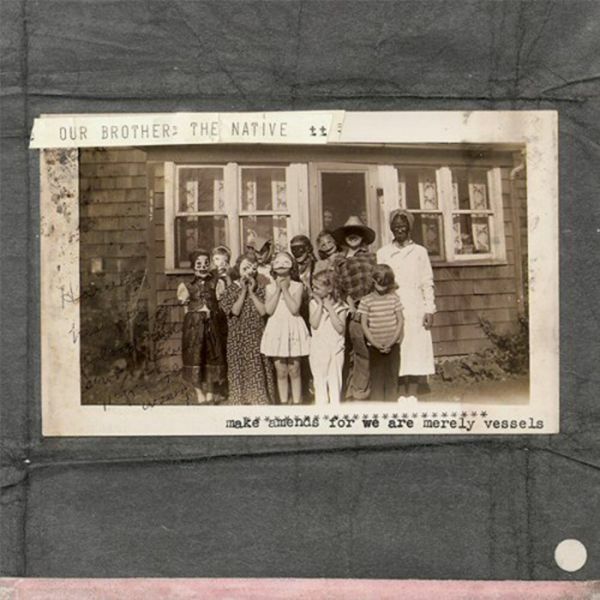 John Michael started making some beats on a drum machine, and Josh picked up his banjo and they started to jam, and that was the start of Our Brother The Native. Excited about what was happening, they started to make some rough recordings on an old 4-track machine. Eventually, the pair started recording on a computer with editing capabilities, and got themselves a Myspace site through which to share their work. A friend in Holly, who ran his own D.I.Y label, heard a couple songs, and suggested releasing something, which gave the duo confidence. Weeks later they found another cool D.I.Y label in California (former/part-time member Chaz Knapp's Delude Records), which they really liked. Josh and John Michael hinted that they'd love to do a release; Chaz jumped at it and put out an EP ('Cheer Up My Dear, The Sun Will Shine Again', 2005) and he and Josh quickly became friends, overcoming the geographical distance via frequent phone conversations. A solo release from Josh followed (the more stripped down / minimal, banjo-based 'Pappa Bones and The Creature Children of The Forrest' - released as JSP). Having by then become great friends, Chaz and Josh began working together (under the name Moses Grandy), but felt they were missing something in the percussion department. So John and Josh decided to just have Chaz join Our Brother the Native. That said, the band actually met for the first time only after the album was recorded, at their first live show, a FatCat curated Festival in Hasselt, Belgium. With Chaz still living in California, and John and Josh living in Michigan, recordings were pieced together by sending parts to each other via e-mail for additions. This very process informed and shaped their debut album 'Tooth and Claw', release via FatCat summer 2006. Josh and John Michael would begin by using acoustic and electric guitar for the basis of most songs, usually recorded straight into the computer through a Boss SP-303 sampler with built in-effects. They also use a Kaos pad, a loop station, and a couple of circuit-bent toys that they run through effects and destroy. They also search out samples of interesting sounds they can find around the house, as well as AM radio signals / static - mic-ing up the radio and running the noise through effects. The album is also noticeable for the vocals of Josh's mum (a music teacher), who came in and sang at the end. For his parts, Chaz uses guitar, keyboard, vocals, accordian, and sometimes percussion elements like shakers, a snare and a cymbal, and also a circuit-bent Furby. John Michael amicably parted ways with Our Brother The natuve in October 2007. Their follow up LP, 'Make Amends For We Are Merely Vessels', released in February 2008, is the product of a more immediate recording process, with the band rehearsing and recording as one. Self-recorded in Josh's dimly-lit Michigan basement between May - December 2006, they were aided by Kayleen Nilsson on viola, a schoolfriend who has been in the band as an additional member for shows and some recording for the past year. Where the previous album was all jagged / ruptured songcraft, 'Make Amends...' is a much more fluid, immersive affair, a dense weave of layered sounds and slow building dynamics, recalling at times the likes of Sigur Ros, Godspeed You Black Emperor!, Stars Of The Lid or Popol Vuh. Still using an array of atypical ephemera to construct their songs, the album is nevertheless more informed by the bands transition into a live entity, creating a sonic tide that comes in and out, with waves of sound building up slowly, and then finally coming to a huge crescendo and then calm again. A five-track digital EP, 'Parting Marrows', was released in October 2008, and is more immediate than previous records - fuelled by shorter, summer-tinged compositions that are timeless, earnest and full of hope. 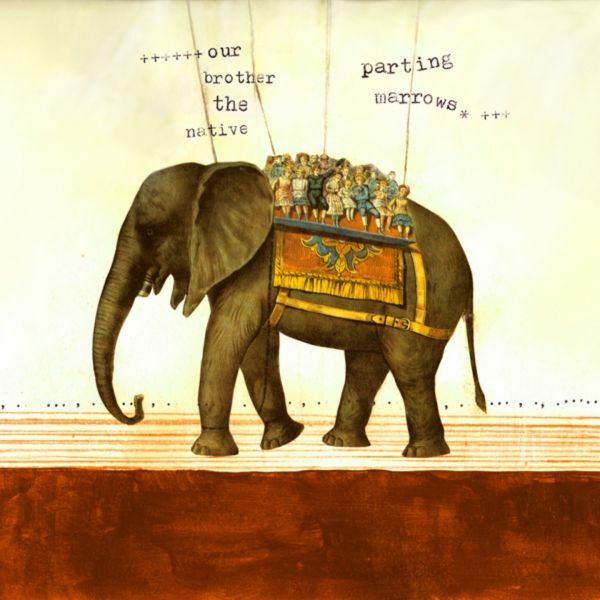 For 'Parting Marrows' the band incorporates a reduced line-up comprised of Joshua Bertram (guitar, bowed banjo, sounds/samples, sax, harmonium, synth, vocals), John Michael Foss (drums/percussion, piano) and Joe Akers (guest vocals on 2 tracks). A new LP, 'Sacred Psalms', was released on the 11th of May in the UK (5th of May in the US), and is a gorgeous, mature, hope-catalysing record that sees the band's combined influences simultaneously increase tenfold and be transcended by their ingenuity and intent. Featuring then core members Josh Bertram (vocals, guitar, saxophone, piano, banjo, organ, synth, drums /percussion, programming/samples/noise) and Chaz Knapp (vocals, guitar, banjo), the band's creative process was a mixture of working individually in isolation, sending material and ideas back and forth across the internet, and occasionally coming together to rehearse, record and tour. They completed a UK and European tour in October 2009, toured with Frightened Rabbit and Maps & Atlases in the US in April 2010 and are currently working on new material for a forthcoming full-length. 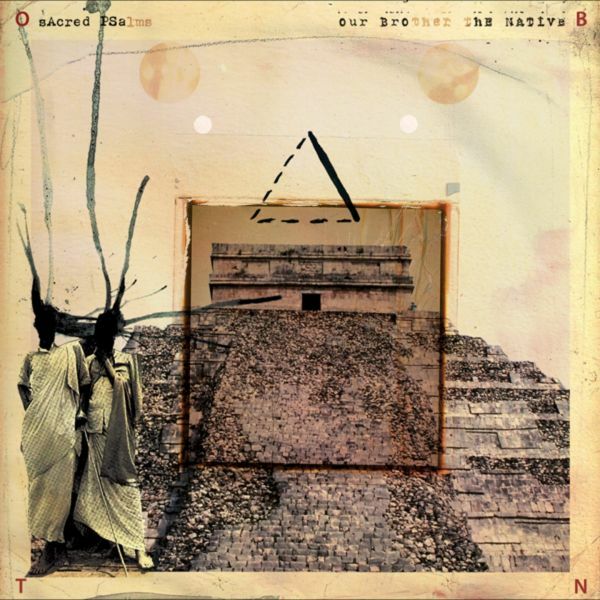 The newest addition to Our Brother the Native's lengthening discography was a full-length entitled Terra Traipse, released in 2014 by Shred Forever Records.